Hey Dolls! Today marks the first official day of my European vaca but there's no need to fear! I've lined up guest posts from some amazing bloggers and polled them on a question that's on everyone's minds - what's your favorite fall trend? First up is Amber from Purple Paparazzi. To say I am in love with her jewellery collection is an understatement. The fab colours and unique settings truly are statement pieces that make an outfit! Naturally, I was sure to turn to Amber for her thoughts on fall jewelry trends - Amber, the floor is yours! Hey Suburban Faux-Pas Dolls! Today I'm filling in for the lovely and oh so stylish Krystin while she gallivants on vacation in Pari-eeeee. I'm Amber, a jewelry designer based in the DC area. I'm spinning away from the focus on clothes and diving into....what else... JEWELRY of course! Being a jewellery designer, I am always coming up with new ways to wear and draw attention to my jewelry. With Fall busting through Summers doors, I am all but ready to break out with my fall staples. 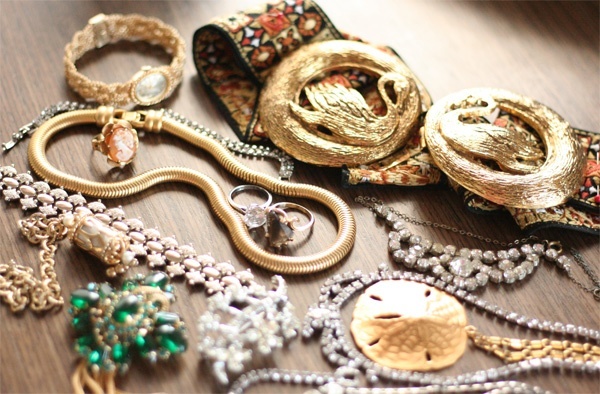 Here's some eye candy for fall inspiration in the jewelry department, some looks and ideas I think are perfect for making your own. I hate to say it girls, but it's probably time to lay the friendship bracelets and neon arm parties to rest (until next summer of course) time to up your accessory game for fall. 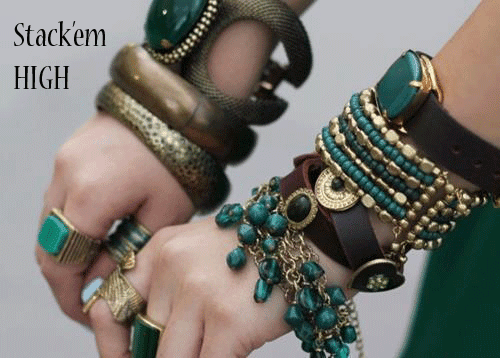 Don't worry, you can still stack your Arm Parties, just do it with rich fall worthy choices. keep your attire simple to serve as its canvas. Thanks Krystin for having me on Suburban Faux-Pas and letting me share my jewelry designer point of view for fall jewelry! Be sure to check my blog here and my jewelry website here! Happy Accessorizing Ladies! I have seen that first photo floating around on Pinterest and am TOO OBSESSED with that look! Great tips! Enjoy your Trip and take in as much of Paris as possible! It never gets old! Love the tips from P.P. Have so much fun in Europe! Thanks for the tip :) I will definitely be using this! I'm just here first, I like your blog so much, so I'm your newest follower! love all of those inspiration pics! I love it! 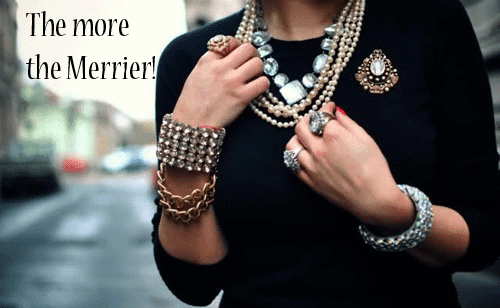 I used to not want anything to do with accessories, and now I want them piled on!